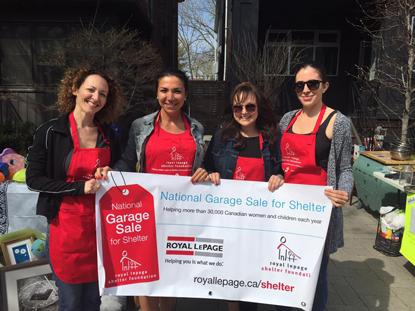 On Saturday, May 11th, 2019, Royal LePage offices across Canada are hosting the National Garage Sale for Shelter, with 100% of proceeds going to help women and children who have experienced family violence. The National Garage Sale for Shelter is made possible with the generous support of national sponsors: TD Canada Trust, Mobile Mortgage Specialists; Atlas Canada; and Genworth Canada. Get involved by donating gently used items to your local Royal LePage office and join in the fun on May 11th. Great deals for a great cause. Find all Garage Sale for Shelter locations and event details below.